Saw this again about a month ago in preparation for a talk I give today at the Frye Art Museum, on the subject of the late 19th-/early 20th-century passion for the occult. Figured the movie would fit, even if Dorian Gray needed no darkened room or séance to effect his supernatural bargain involving the eternal appearance of youth for his corporeal version and an increasingly disintegrating portrait of himself. My only previous viewing of the movie was in the early Seventies, thanks to the late-night horror-movie host Dr. ZinGRR, the creation of deejay Robert O. Smith. As I typed that sentence I Googled Dr. ZinGRR because I knew Smith had a website about himself (he did a lot of voice work in recent years), and just found out that Smith died in June. Crap, I hadn’t even heard that. He was once a mighty deejay in Seattle, part of a great era of Top 40 radio personalities. Someone has a website with some of Dr. ZinGRR’s only existing excerpts posted; they will give some of the flavor of Smith’s goofball characters (he did a Peter Lorre voice that was one of his go-to people) and of the topical humor of the show, with references to Watergate and Spiro Agnew. It seemed great at the time. My primary devotion was to “The Count” on channel 7’s “Nightmare Theatre,” but Dr. ZinGRR was a welcome newcomer, a bit of counterculture weirdness. He ran a looser ship. The movies would stop at random moments, Dr. ZinGRR would occasionally astral-project himself into the action, things like that. Sometimes he would have to pull a Count Floyd and admit that what we were watching wasn’t all that scary. 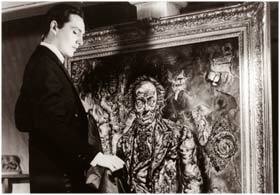 The Picture of Dorian Gray was one of those films, to come back to the original purpose here. 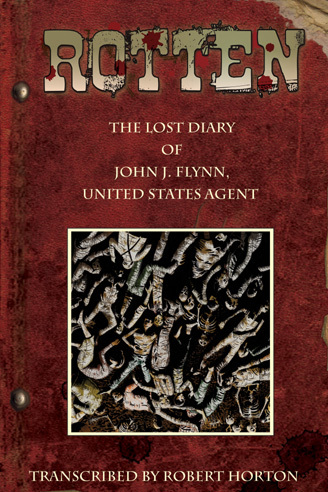 As I admitted in a post almost exactly two years ago, this movie was completely disappointing at a tender age, because it never became a horror movie at all, although the corrupted, loathsome painting was pretty good. 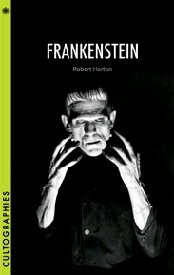 So it was not especially surprising to discover that the movie is actually sort of interesting, even if it comes wrapped in the prestige-picture trappings of MGM (who must’ve thought that since Dr. Jekyll and Mr. Hyde worked – the one with Spencer Tracy, in 1941 – that this would, too). The director, Albert Lewin, was a Hollywood aesthete, maker of The Moon and Sixpence and The Private Affairs of Bel Ami (both with George Sanders) and the uniquely daffy Pandora and the Flying Dutchman, a very special experience. Dorian Gray has a nice heady feel to it as well, like being in a room with incense and orchids while George Sanders walks around trailing Oscar Wilde’s one-liners like nobody else ever did, possibly including even Oscar Wilde. A good sense of unhealth throughout the movie, even when delivered in the stately house style of MGM. Hurd Hatfield is a sleepwalker in the title role, apparently according to Lewin’s instructions. It fits. You project everything onto him. Whatever filthy hedonistic pleasure Dorian is finding out there in his twilight world (we never actually know what is so awful it should distort the painting as it does), we place onto the character, and the blankly delicate actor. And all the scoldings of the Sanders character for his blithe, amoral pleasure in pleasure don’t ring true; we still gravitate toward him, whatever the limits of his philosophy. The respectable people just come across as so many squares. The movie has Angela Lansbury and Donna Reed before they too grew respectable (although Lansbury maintained her naughty streak, even after TV), and Peter Lawford as a right-minded rival suitor (zzzzz), and literary quotations, and studio fog. It is slow, but not wrongly so. It’s about a double life, proving Oscar Wilde knew plenty about us all. Everybody’s got the painting in the attic. RIP Dr. ZinGRR, too, no square he.